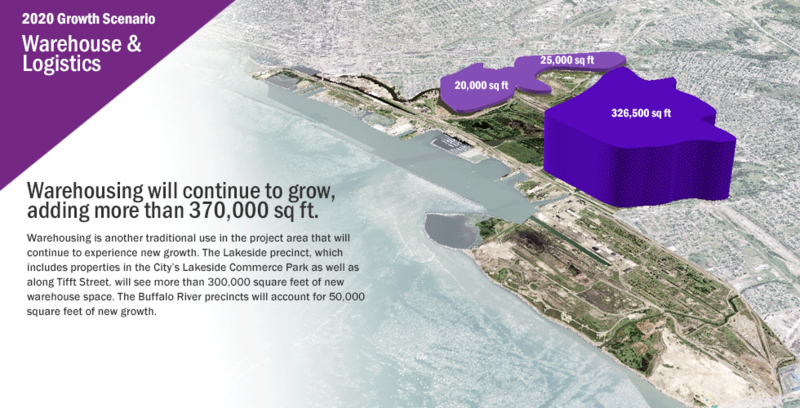 Thinking strategically about building infrastructure to support the redevelopment of Buffalo’s former industrial land. 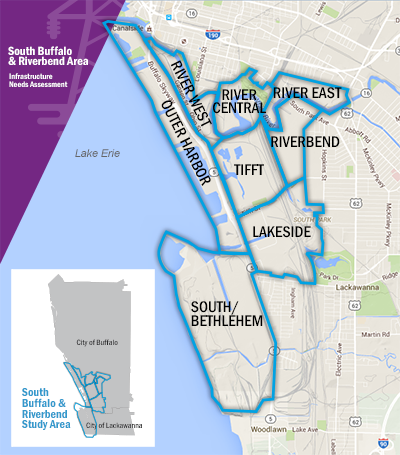 This study is a comprehensive outreach and infrastructure needs analysis of existing conditions and development potential in the South Buffalo and Buffalo River brownfield areas, surrounding the emerging Solar City development project. 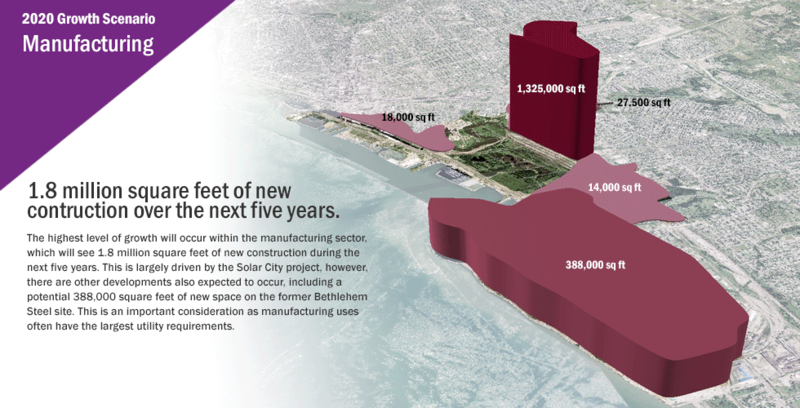 Solar City is expected to require significant infrastructure investment upgrades; this study identifies potential additional needs given other projected developments neighboring Solar City. The process included a survey of all businesses, land owners and economic development agencies in the area to help determine current and future infrastructure requirements. 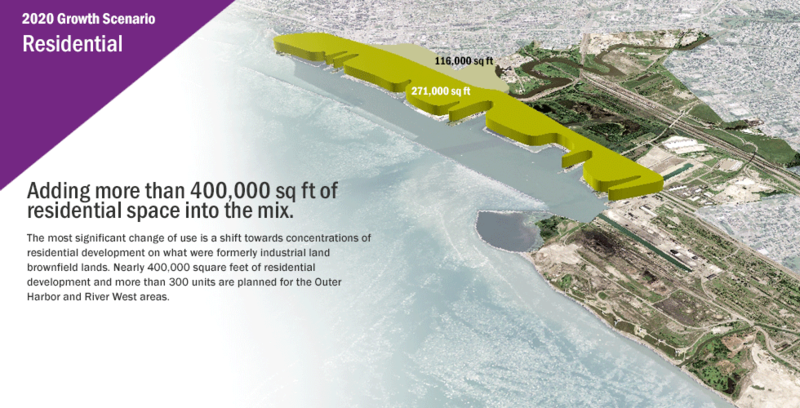 This information was compiled and mapped to detail geographies of varying types and intensities of future growth. 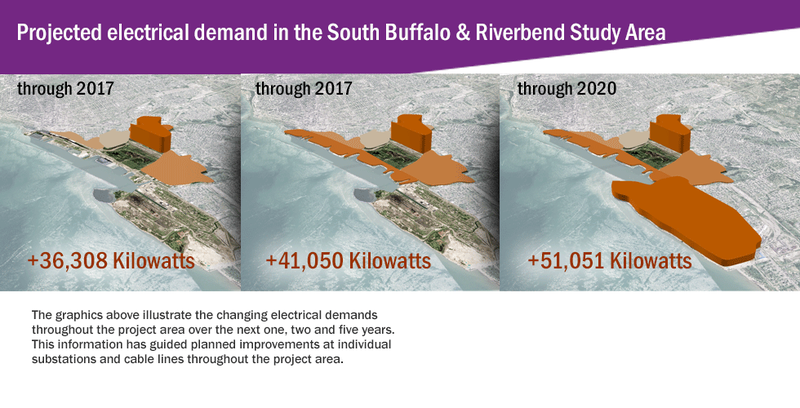 The project, sponsored by National Grid, included a strategic partnership between the Buffalo Niagara Partnership and UBRI. 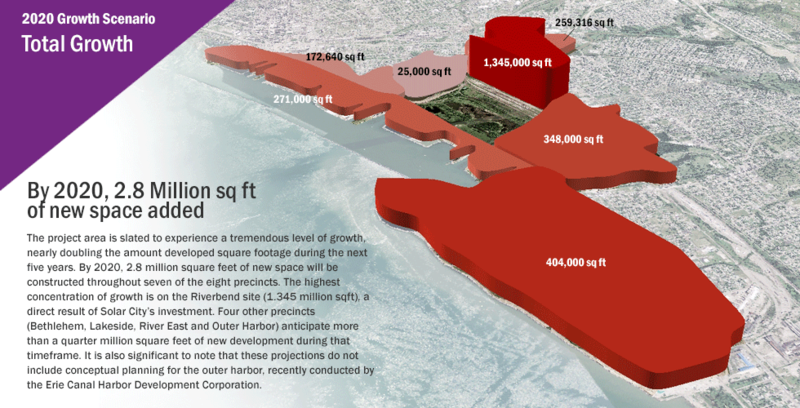 UBRI’s role included survey design, data analysis, and geospatial mapping. 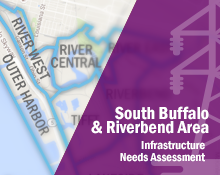 The project study area is based on existing National Grid infrastructure and recognized development plans, generally along the Ohio Street/Buffalo River corridor and in the South Buffalo brownfields area. For the purposes of confidentiality, responses were aggregated by “precinct” to protect the information of individual properties while still providing informative geographically based results. 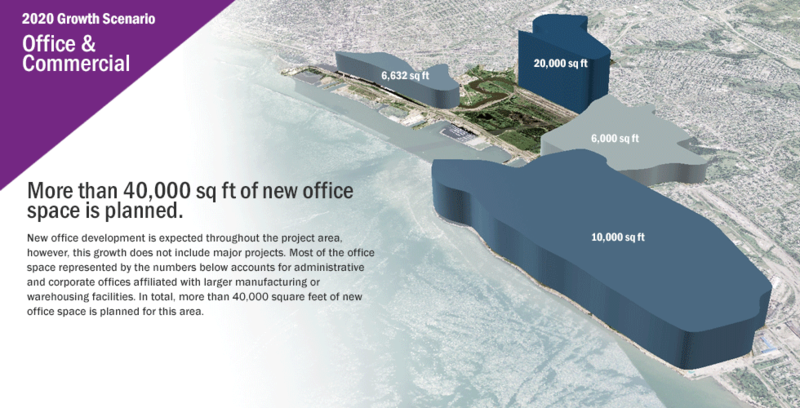 By 2020, 2.8 million square feet of new space will be constructed throughout seven of the eight precincts. 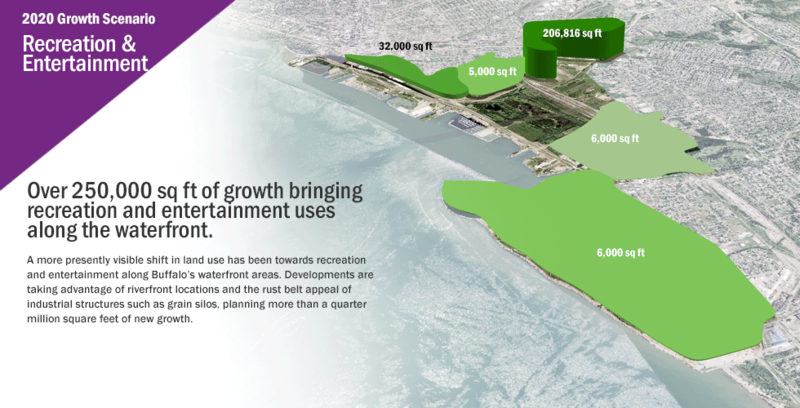 This area is experiencing a transformation, adding office, residential and recreational uses as future development plans take shape. National Grid will use the information in this study to plan for infrastructure in the study area. This process employs a system-wide approach in order to design improvements that can accommodate both present and future growth. This entry was posted on February 9, 2016 .